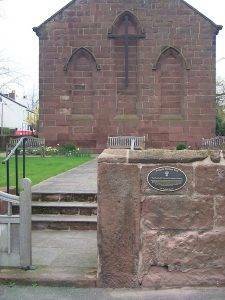 Known as ‘the fishermen’s chapel’ this building was erected in 1843 as a Congregational chapel. In 1858 financial support from Congregational visitors dried up and the Church was bought and converted into a Presbyterian chapel. The building of a new Presbyterian church on Parkgate Road in 1884 moved the congregation and as such the Church was barely used until the Church of England took it over in 1910 when it was dedicated to St Thomas the Apostle. It closed again in the 1990's and after 16 years of abandonment it was re-opened in 2010 as a Church and a community meeting centre. 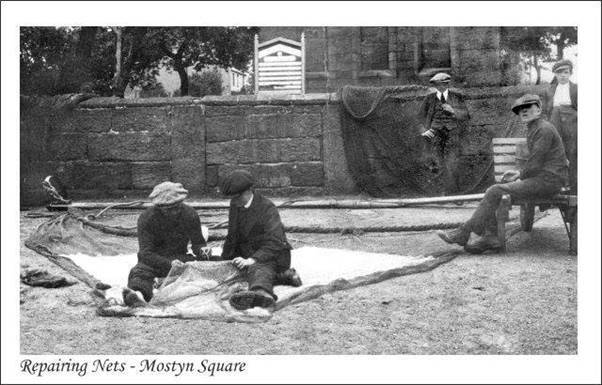 This picture shows a group of Parkgate fishermen repairing their nets in the square in front of the church. In those days this was probably the only place where there was sufficient space for this work to be undertaken. The blocked-off gateway in the wall has since been re-opened as part of the 2010 refurbishment. Behind the church is the former Parkgate Infant School, opened for 60 pupils in 1860, thanks to the generosity of local benefactor Christopher Bushell of Hinderton Hall, a Liverpool wine importer. 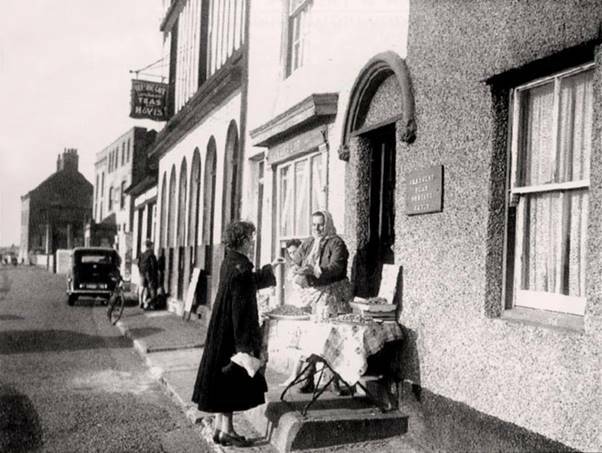 A local shopkeeper on The Parade, close to Mostyn Square, sells locally caught shellfish to a customer. The produce will have been caught by her husband and processed on the premises. 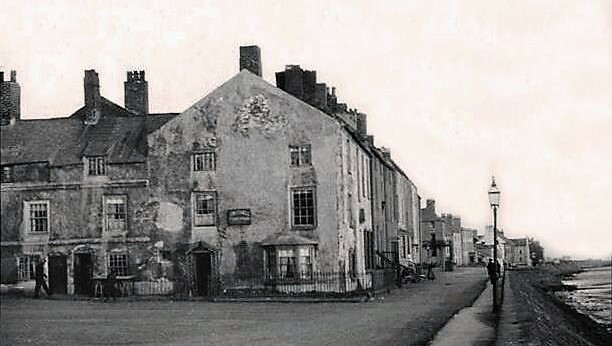 These old houses on the corner of Mostyn Square were demolished in the last decade of the 19th century after being declared insanitary and unfit for human habitation by the local medical officer of health; the corner property is believed to have been a boarding house run by a Mrs Bushell. 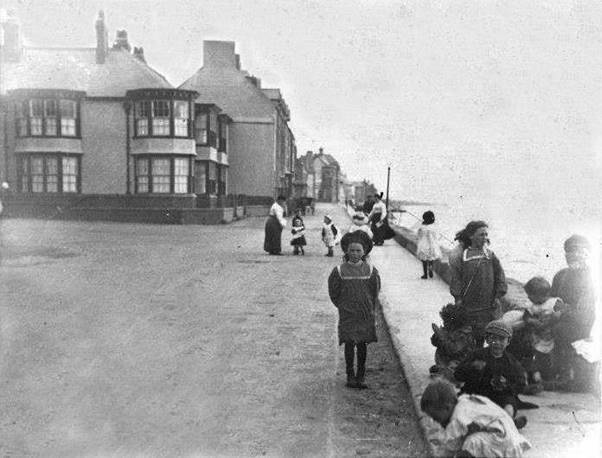 This photograph, believed to have been taken in 1898 from roughly the same position, shows the ‘modern’ houses built as replacements for those demolished.